We always want to feel safe going anywhere, especially for women and children. Whenever you go through a deserted road, or sometimes you go out and go home late at night you always feel unsafe. 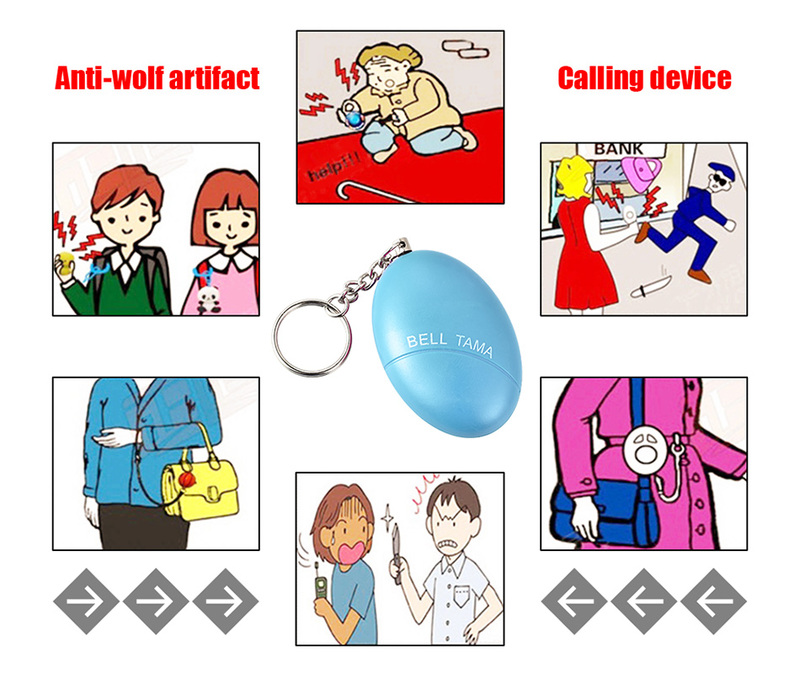 Gets rid of that anxiety with our device. 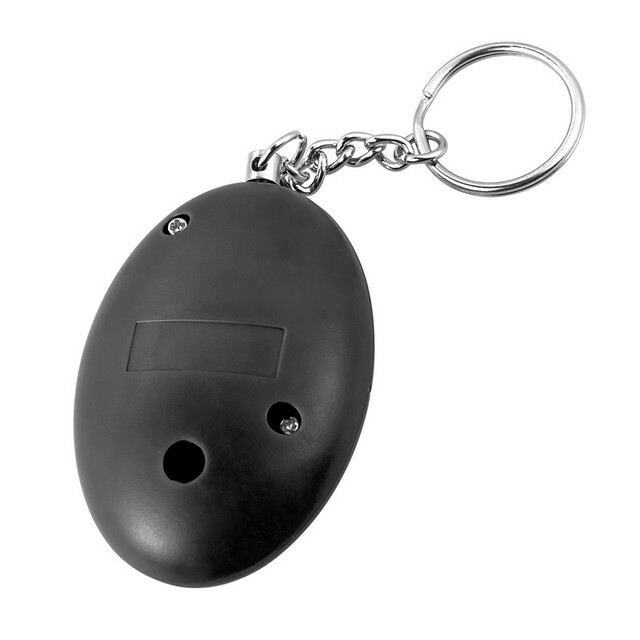 Our Safety Alarm Key-chain helps keep you safe from danger while out and about. 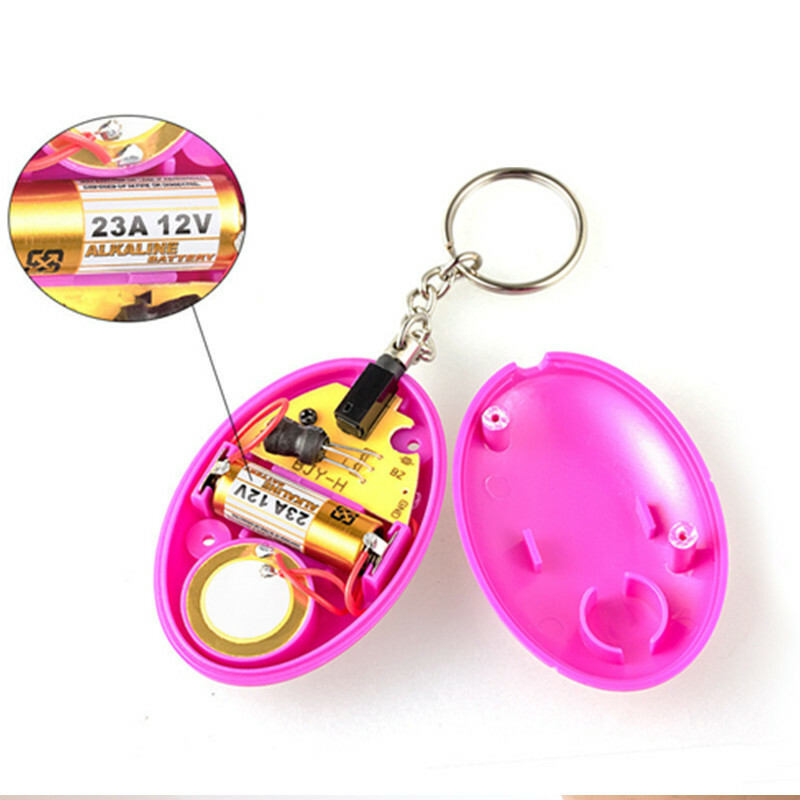 It hooks onto your key-chain while you’re on the go. Just pull the tab out to trigger the loud alarm in dangerous situations. Order now! Clip to your handbag, backpack or use as a keyRing to your wallet’s zipper,cellphone’s strap. 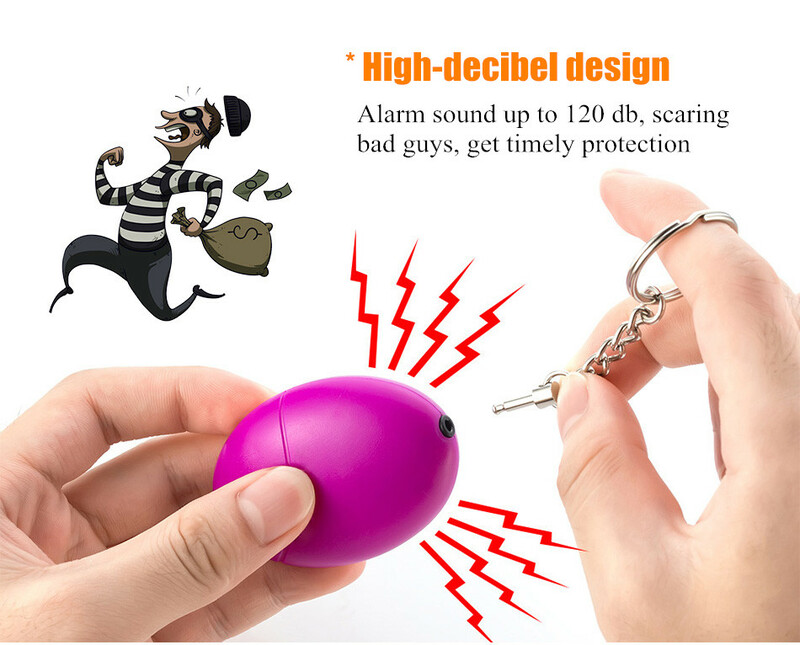 High-Decibel design alarm sound up to 120db,Scaring bad guys ,get timely protection Safety Internal structure Design. 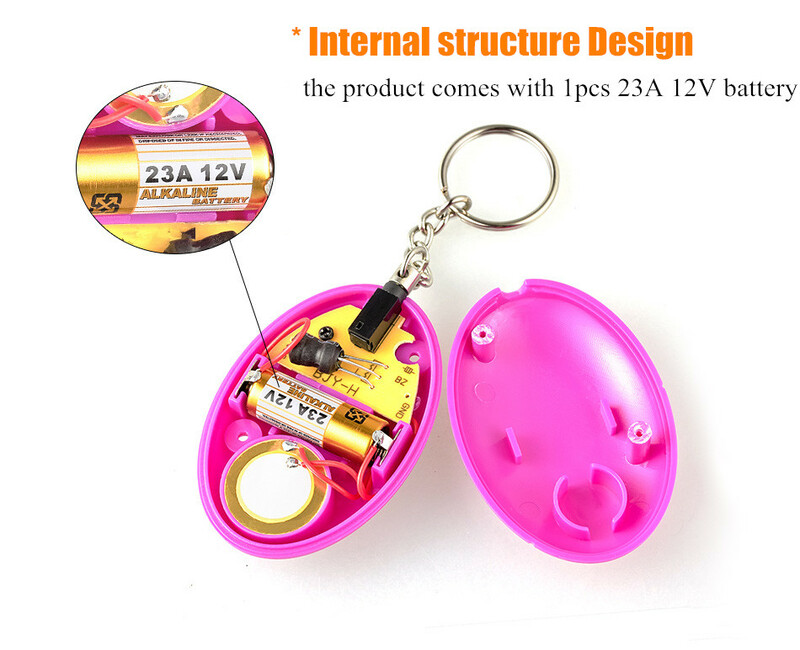 The products comes with 1pcs 23A 12V Battery,the Product harmless and safe Small and protable design Lightweight design ,the cute decoration, also self defense supplies. 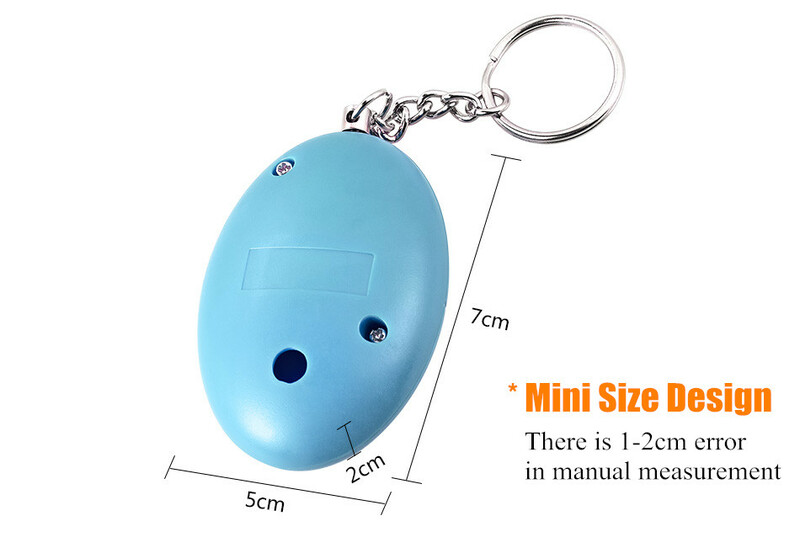 Mini Size with big use 1-2cm error in manual measurement. Simple Operation Simple operation ,But mission is not simple. Pull out ,and the alarm sound .Plug in ,the Sound stops. Suitable for a variety of people Make you and your family safe and secure. 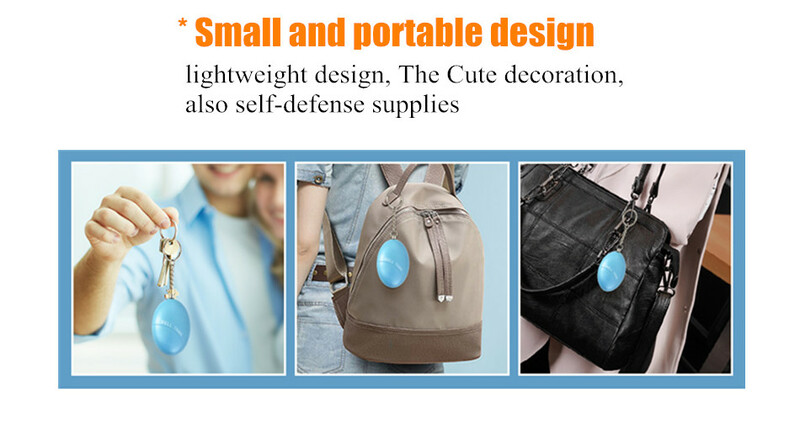 Small body, protect safety.